The world of writing and publishing entered a revolution in the past decade. I joined a little late after a discouraging six or seven years attempting to follow the traditional route. Discouraged, disillusioned, and frustrated, I dropped out for a few years. I woke up a little more than a year ago and decided that perhaps I could try something different. 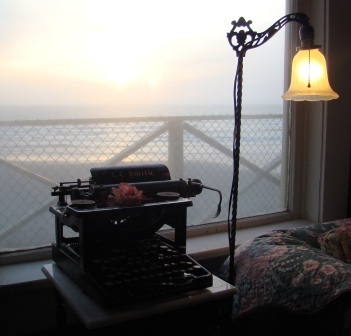 After all, I had a manuscript nearly ready for publication (Live from the Road), another in first draft form (Working title: Safe Harbor), and that little voice instead of me nudging me to write yet another novel (Trails in the Sand). As a result, I decided to give self-publishing and the eBook world a try. The first thing I did -after reading a bit of advice – was purchase my first Kindle so I could see where I might be publishing. I like my Kindle, but I still read hard copies of books and probably always will, but it’s nice to have the alternative. Even after publishing two eBooks, I still felt myself floundering as badly as my sales. So I decided with the little bit of knowledge I’d garnered in the past ten months, to begin yet again reading the books with e-Book and self-publishing advice. What a difference it made to go back because now I actually understand and know what the authors mean when they make suggestions. I know what makes sense for me, and even better, my months of study have given me the knowledge to be able to implement changes. Here are the first two books I read. Both gave me confidence, reassurance, and usable information. I’ve been following Ms. Gardner’s blog for a few months. Even though she’s an agent working with traditional publishers, her blog is full of wise advice no matter which route an author chooses. When I learned she’d self-published this eBook, I purchased it right away. It’s short, but worth the price. I’d already made the decision to self-publish two novels, but I’d also gone the traditional route with three previous books. Her comparisons and checklists are extremely beneficial. The checklists are based on individual preferences and personalities. I used each one of the checklists to see what it said about me as a writer and my choices. For the most part, it confirmed and reinforced my decision to go the self-published route with my books. I recommend this book to anyone who’s on the fence about what to do in the next steps . I also recommend it for anyone who’s questioning choices made thus far. She lays out the differences in a concise way. I didn’t find her assessments biased based on her chosen career path – after all, she also chose to self-publish this book. She gives the reader the opportunity to see what it’s really like for either side of the equation. Best of all, there’s always time to shift and try another road. And if you’re in that position, this book will provide realistic expectations for both the traditional and self-published routes. Since I’ve been on both sides, I know her take on both are realistic. Next I moved on to a book I downloaded to my Kindle some months ago – there are seven more books waiting for me to read – but this one popped up first. 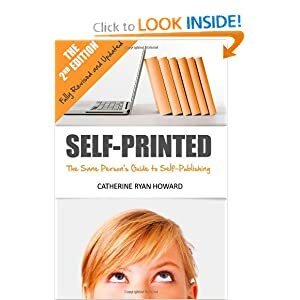 Self-Printed: The Sane Person’s Guide to Self-Publishing by Catherine Ryan Howard ($4.99 Kindle; $15.95 paperback) became the first eBook on which I used the “bookmark” feature. 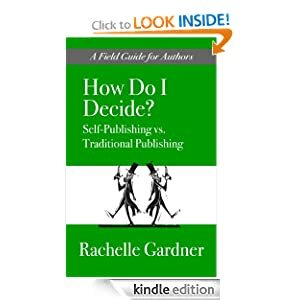 When I finally opened the book to see if it was one that would help me, I had no intention of reading it because I was simply going to organize all my self-publishing help books by reading through the tables of contents. Instead, I found myself engrossed in the advice given. The author writes in an earthy tone and provides a ton of anecdotes and humor, which took a bit of getting used to, but the advice was so good, I adjusted my attitude. I scrolled through the endless “don’t do this” stories to get to the meat. The author lives in Ireland, so she gives warning to move forward if you’re an author from the United States. I began incorporating some of the advice immediately, especially about WordPress. I learned about things that have puzzled me in my journey as a self-published author. I finished the book in two days and have pages of notes on things I can do right now to help increase my presence online. The advice put things into perspective for me and drilled into me that the focus of my workday should be on creating a presence and writing my next book. I’ve already incorporated about half of my notes on my web page and on my Author Central account. I don’t always follow the advice given in the books and blogs I read, so the difference here is the down-to-earth way she explains it. Her suggestions made sense and helped me clear the fog I’ve been in since I started my self-publishing journey last March. I only wish I’d read the book back then, but maybe I wasn’t ready for her advice in those early days. Do you have any books you’d recommend to those of us in the revolution? This entry was posted in Writing Tips and tagged amazon.com, authors, blog, e-book, fiction, Kindle, Live from the Road, novel, Rachelle Gardner, self-publishing, traditional publishing, Trails in the Sand. Bookmark the permalink. Thanks for the advice. I can’t speak to which road I’m going publishing-wise (yet), although I’m heavily leaning traditional. I do, however, think all writers need to work on platform-building. That said, in addition to your recommendation (above), I’d like to recommend Chuck Sambuchino’s Create Your Writer Platform: The Key to Building an Audience, Selling More Books, and Finding Success as an Author. I wrote a review of it on my blog recently if you want more information, but basically he defines platform, outlines methods of growing your platform, and provides successful case studies, as well as having commentary from publishing experts. Good choice, Staci. I’ll check it out. If you can check out Rachelle Gardner’s book to check your attitude/personality. I think you’ll find it interesting. I’m comfortable with the choice I’ve made, but I did it after experience and deliberation. My personality fits exactly for the self-publishing route. Neither is right nor wrong. But you are absolutely correct in establishing a platform and a presence – something I probably should have done sooner, but I’m working on it. Thanks for recommendation. I’ll add his book to my list of seven. Stephen, I agree. I think I’m finding it easier to sift through things now because of the changing landscape. The difference between now and a year ago is the knowledge I’ve gained to help me sift without becoming overwhelmed. Thanks for comment. Sadly, I have yet to read any great books on publishing, so this is awesome. I’m going to print it out. You’re costing me a lot of money, PC! 😉 Thanks, this is all great info. 🙂 All for a good cause, Hazy.